You Tube has a recording of C. S. Lewis on the BBC reading what became a chapter of Mere Christianity. Considered one of Lewis' most popular books, A Grief Observed was the topic of an informal discussion at our last meeting of the Society, Friday, 20 February. 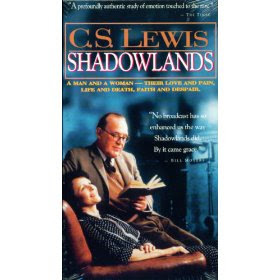 We went over different passages and ideas in the book and also discussed what we thought about the two Shadowlands movies. A big thanks to all those who joined in the discussion and for the contribution they made. We had about 25 in attendance.